via the name parameter to set filename, and move file content into this file. The server will do a basic verification of the file name, you can get a valid backup file name,just like backup_2017-11-29-1844_test_d6c634e49869-plugins.zip. there are Race condition, when we view this pages before delete after write in. we can make php code execution. 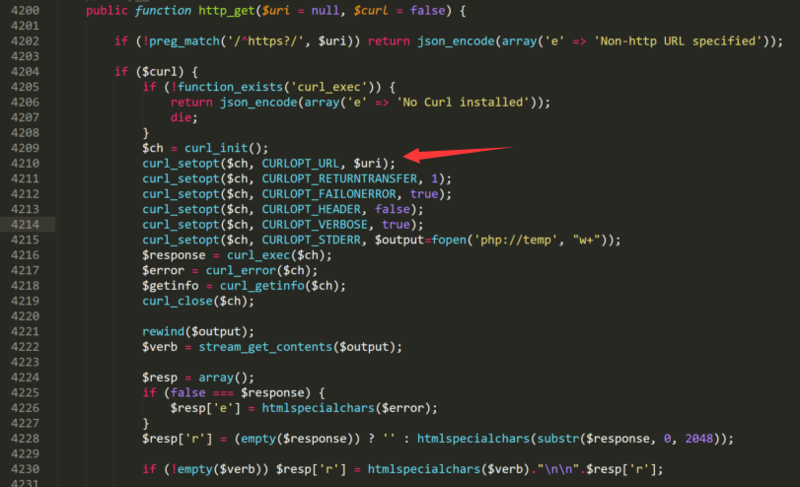 they will use curl to request url, it can be exploited to conduct server-side request forgery (SSRF) attacks. @LoRexxar If somebody can log in as a WP administrator, then they do not need to carry out complicated "attacks" against upload race conditions that only they have access to. Instead, they can just do any of 10,000 other things to manipulate your filesystem, e.g. 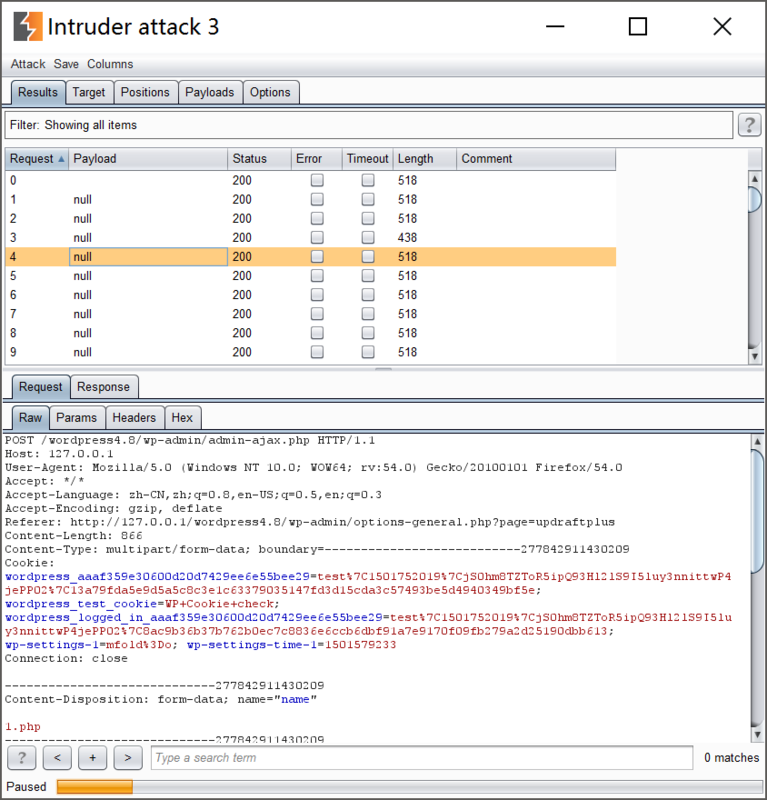 For something to be an attack, it has to give a user powers that they did not already have. A procedure that allows them, through a very complicated work-around method, to do something that they could already do through many other mechanisms is not an attack. Admins can already do the same thing in zillions of other ways. UpdraftPlus is a backup/restore plugin! An evil admin can just create a malicious backup, and then restore it.... he doesn't need to do something really convoluted as an alternative. @LoRexxar Whether I think that WordPress should be able to write to the filesystem or not, is not a question for me in my position. I am not part of the WordPress core team. 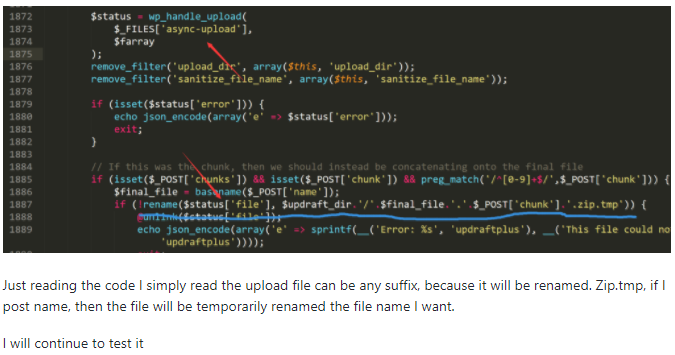 If WordPress could not write to the filesystem, then a backup/restore plugin would be theoretically impossible. We can only deal with WP as it is. In WP's security model, WP can write to the filesystem and this is not considered a defect; and admins are all powerful (N.B. 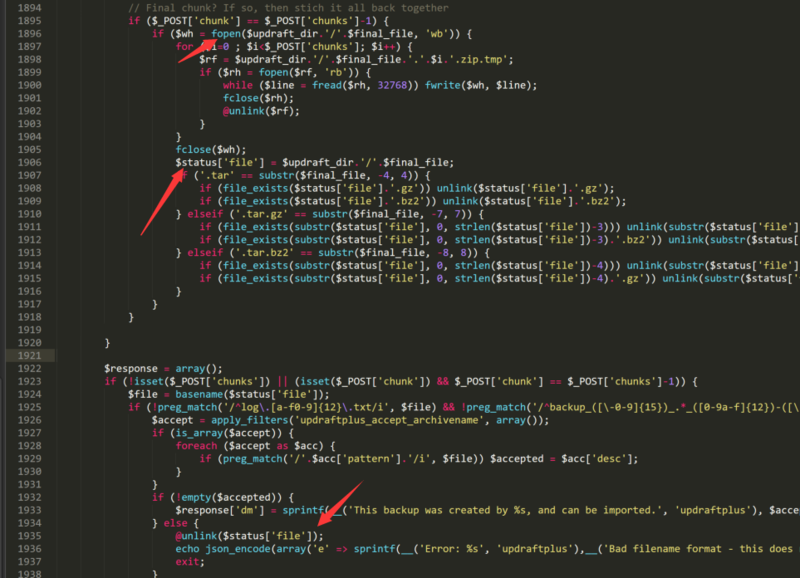 a "super admin" is the all-powerful admin on a WP multisite install; but UD's code already handles that correctly too). Note also that your attack cannot work for a further reason. The code cannot write directly into wp-content... the description just assumes you can write there and perform a directory traversal . But the file location of the file during upload is PHP's temporary directory... and after that, it gets moved to a file ending in '.zip.tmp' in a directory that's protected with an .htaccess file, with directory traversal prevented by use of basename(). There's no mechanism for achieving that, or for running a .zip.tmp file as a PHP file. It seems that you've not tried to actually carry out this 'attack' in practice? For me, the important thing is just that you retract the report and the CVE application. 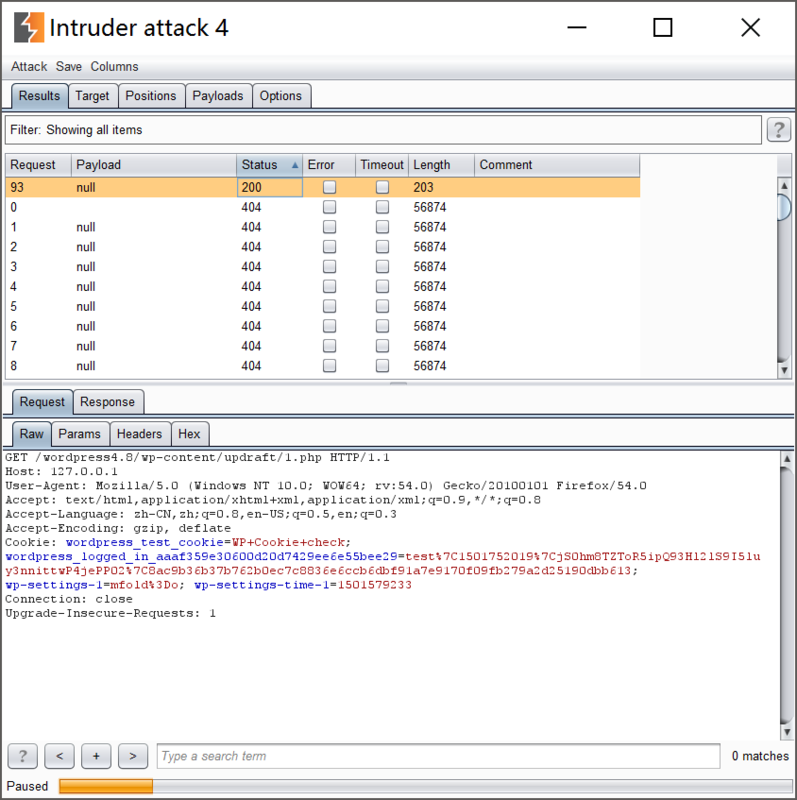 Once a CVE number gets granted, it then appears in lots of automated security tools. We then have a problem of 1 million active users who are going to be scared, and it will create a huge avalanche of support requests and negative publicity for us. So please can you retract it as soon as possible? Thank you! So, what's your problem with the authenticity of the vulnerability? You've asked why this is not a vulnerability . I've already answered that; it's because a vulnerability is something that you did not already have access to do through other mechanisms, by design. A vulnerability cannot include something in which the highest-level user deliberately tries to hurt himself. Beyond these scopes, we are only talking about inconsequential opinions about coding style. Edit all site content in the posts editor and replace it with the words "I HACKED YOUR SITE!!!" 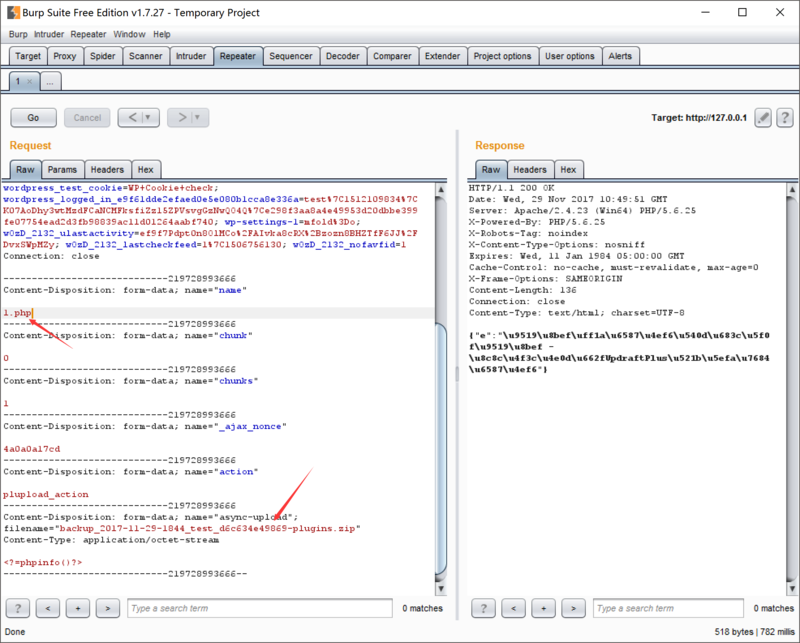 Do you understand why that it is not a security hole in WordPress's posts editor? So, at best, you are describing "a way for an admin to achieve something that he is already intentionally allowed to achieve 10,000 other ways (eg. restoring an evil backup)". That is not what security researchers label as a vulnerability.